D&V Philippines provides tailor-fit and scalable finance and accounting solutions to small and medium-sized businesses across the globe. Our solutions are made to help business owners manage their accounts easily and set-up their cloud accounting platform, at a more cost-efficient cost. Are you an entrepreneur?  Interested in taking your business in to the Cloud? Here are 6 steps! Learn more by checking out our cloud accounting whitepaper.